What happens when you stop doing stuff and connect inwards? We spend our days stimulated and bombarded with outside information, activities, pursuits, constant communication… So what actually happens when you make some time and space to be alone with yourself, to just sit and be as you are, and connect inwards, away from all the distractions? Without flicking through Instagram posts. Without Netflix on in the background. Not actually doing anything – just being. Does that ever happen? What if you were to turn the spotlight back on yourself, and explore your inner world with the same curiosity as you have for the world around you? Imagine what it would it be like to get to know what’s going on inside, who is in there – in your natural state, not what you project out to others – and to become an ‘expert’ on your true, inner self. See what reactions this idea brings up within you. Does it sound strange, counter-intuitive? Does it make you anxious? Or do you already know your true, inner self well? Does it sound like something uncomfortable or scary, that you’d rather avoid? Perhaps your mind is coming up with judgments, about it being self-indulgent, or ridiculous, or just unnecessary. Many of us spend most of our days not paying attention to our core, inner self, not listening to the messages it’s trying to send us, pushing the information back down to where it came from, because it doesn’t suit the images we have of ourselves or what we think we need to get done. The problem is, we miss out on vital information that could be shaping our life choices and daily actions. And as a result, our lives start to grate against who we really are and what we really need, and this clash can keep getting bigger and bigger until we hit crisis point. If we are to experience joy, ease and fulfillment in our lives, as well as to feel resourced to deal with life’s challanges, we must first know ourselves, truly. This includes recognising your own unique thought patterns, emotions and sensations as they arise, and becoming aware of what you are bringing into each situation. It also means becoming clear on your own beliefs and values, so that you can then stand over them. Connecting inwards is about making a conscious decision to actively focus your attention back on yourself, to listen carefully to that inner voice and take note of what it’s telling you. To notice your body sensations, and your emotions, as they come and go. Mindfully mining your inner self for important information about you. An important part of this is holding an attitude of open curiosity, and observing rather than judging your inner world. It’s not about critically assessing what’s going on inside you, more like an open-minded and exciting adventure into unknown territory, deep inside of you. 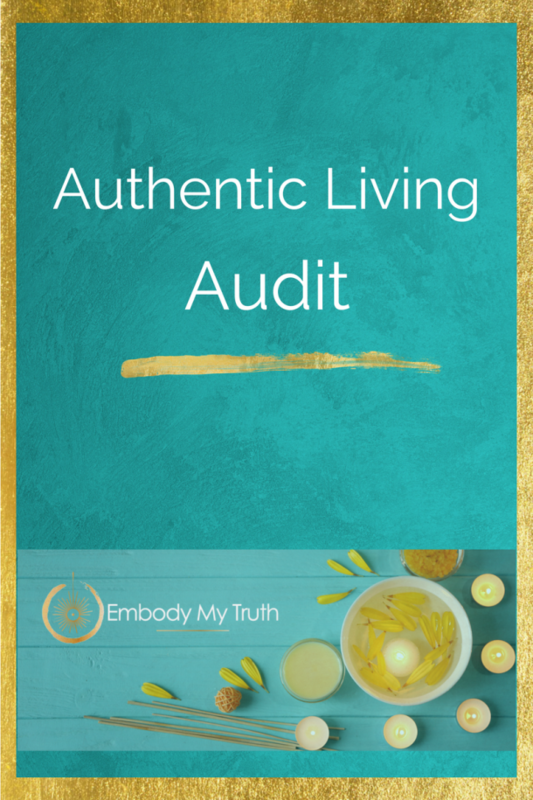 And even though what you uncover inside may not seem like gold at first, may be icky or uncomfortable or surprising, it is truly the treasure that can guide you into more authentic living. So what actually works for you? Because so many things can get in the way of this kind of self-connection – busy schedules, work, responsibilities, families, human relationships, the internet, etc. etc. etc. – it can be helpful to choose specific practices that support your inner connection to grow, until it becomes second nature. BUT – the key thing here is not to choose particular practices just because other people say they work; the most important thing is to try them out for yourself and make sure they actually support you and work for you. In other words, not throwing yourself into a silent meditation retreat or twisting yourself into yoga knots just because that worked for your friends. For some people it might be about deciding to take 5 minutes’ quiet time sitting in a chair as soon as you come home from work, or first thing in the morning before you get up (before even checking your phone?!). Or when you park the car, getting into the habit of switching off the radio and checking in with yourself just for a few minutes, asking yourself, ‘So how am I doing right now? What’s happening in my body? What mood am I feeling, in this very moment’? Or, it might be about developing a more formal meditation, daily ritual, or spiritual practice, dance or movement meditation, or journaling for 10 minutes at the start or end of every day. Whatever helps you to develop an inner dialogue and get to know yourself better. It may not sound like much, or it may be challenging to carve out the space for it, but over time the rewards are rich. There are so many possibilities and options out there when it comes to mindful self-awareness practices, the point is to actively choose one or two ways to regularly cultivate a closer relationship with your inner self, when you are alone, and to stick to them. It’s about actively paying closer attention to yourself, your thoughts, your feelings, your sensations, and getting to know yourself at a deeper level – and creating a space for that to happen. What do you think might work for you? By consciously developing this inner connection, it gradually becomes second nature to feel intimately connected to yourself and aware of what’s going on inside you, moment by moment, in different situations. Imagine how it will feel to have that depth of connection to yourself… To know how you actually feel, what you really think or need in a given situation, versus what you think you ‘should’ be thinking, feeling or needing! No more gaslighting or undermining of your true self. Over time, this conscious connecting inwards will build a solid foundation for knowing what actions you need to take in your life, what emotions need to be expressed and to whom, and what truths need to be told. In other words, less confusion, less self-doubt, less frustrated snapping at others from bottling things up, and much clearer personal boundaries more honest communication.